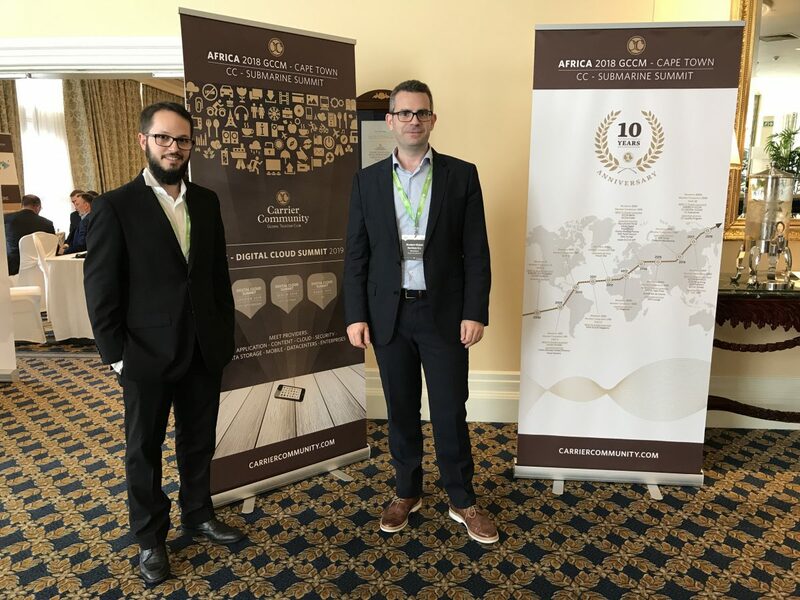 Brodynt attended AfricaCom and GCCM Africa in Cape Town, South Africa from 11-15 November 2018. Representing Brodynt, were Jofre Bejar, Procurement Director, and Albert Bosch, Global Sales Director. The evolution of the telecoms industry in Africa is heavily dependent upon fixed-line infrastructure, and both national and local authorities keep doing efforts towards increasing fixed-line connectivity in many areas. However, mobile voice and data service provide the main and most successful connectivity option, reaching 90-98% of all internet connections. The use of telecoms services is often becoming mainly, or even exclusively mobile. Forward-looking African countries are now placing greater focus on fibre-based national broadband plans. These efforts are supplemented by small-scale fibre operators which are expanding their business beyond the wealthy suburbs and into rural areas. More than three quarters of mobile subscribers on the continent are expected to subscribe to broadband services by 2020. With more than a billion mobile subscribers in the region, this presents a vast market for vendors and application providers. “This was a great first visit for Brodynt to South Africa. It really was good to have face-to-face time with our customers and providers. We felt that by being at GCCM Africa and AfricaCom, we could better understand what clients are looking for, and how Brodynt can best serve their needs.” commented Albert Bosch. Brodynt is excited to continue expanding our footprint in the region, and by being partner-neutral and providing custom-designed connectivity solutions for our clients, we can help you better monetize your corporate customers’ international connectivity and networking needs. We very much enjoyed being at the two most important ICT events from Africa, and look forward to coming back in the future! Let us know if you’d like to hear more from us!